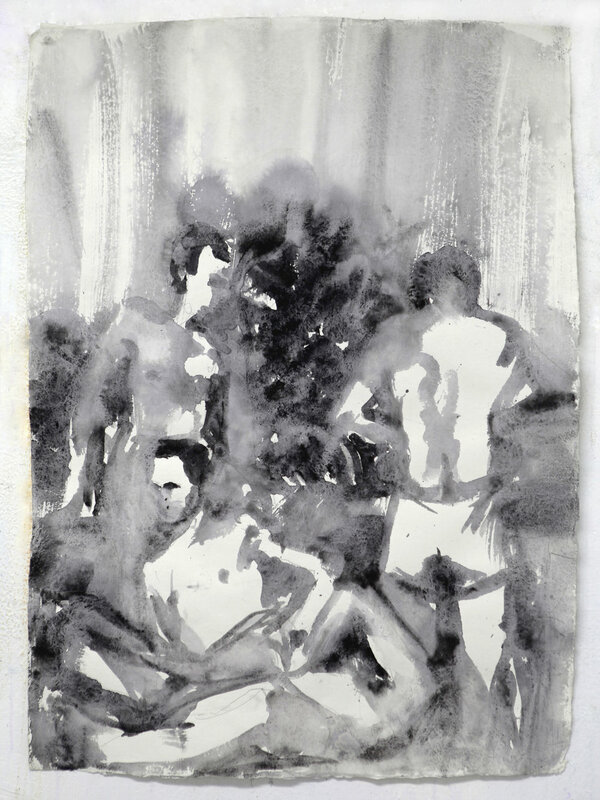 Michael Steinberg Fine Art, in conjunction with 33 Orchard, presents Bathers and Others, a show of paintings and works on paper by Graham Durward. 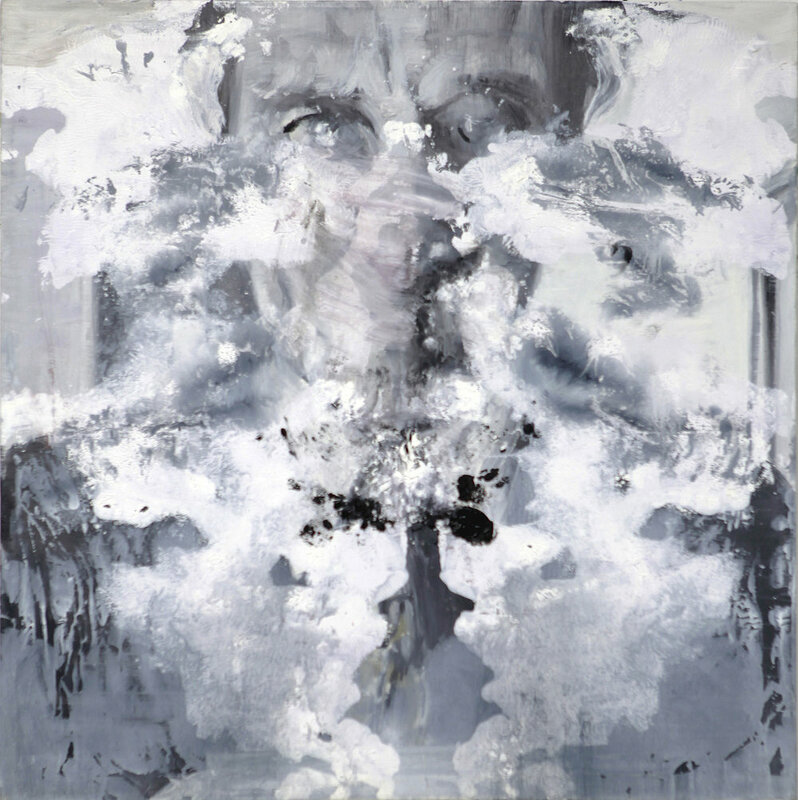 Opening on May 8th, and running through June 8th, 2014, the exhibition focuses on two recent bodies of work. 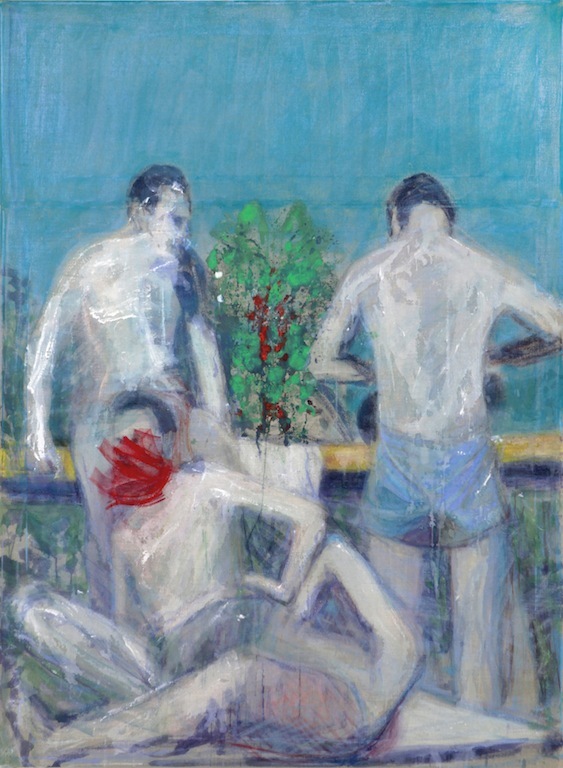 Within the images identified as “Bathers,” the viewer encounters a group of four men, always posed in identical relationship to each other. But while the formal composition of the paintings remains nearly static, a broad and evocative range of emotionality is evoked by Durward’s painterly nuance. Color and gesture, alternately intense or ghostly, combine to generate a complex variety of moods and subjective experience. Whether one reads the men depicted in the paintings as anxious or serene, fulfilled or longing, may well be a reflection of the viewer’s own emotional state. The artist skillfully positions each work in a psychic borderland, charged with ambivalence and potential meaning. “Others” makes reference to works in which Graham Durward depicts single figures whose identities are disguised, distorted and disfigured. More overtly “anxious” than the “Bathers,” each of these “Others” inhabits an isolated and atomized space that is frequently menacing. Brought by vigorous and sometimes violent gesture to a point of near anonymity, they are simultaneously somewhere and nowhere. 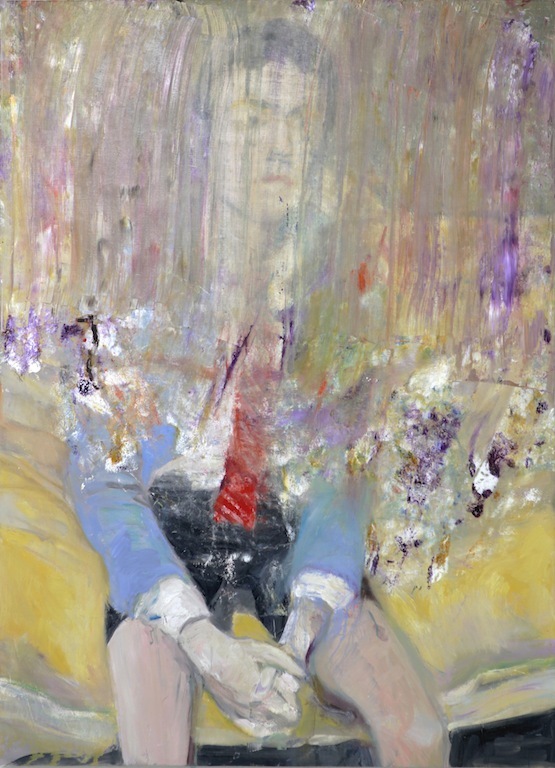 Painted incarnations of Gyorgy Lukacs’ concept of transcendental homelessness, they seek specificity and achieve abstraction.